Cartridge Save can make your money last longer by being very economical over the expense of Canon LBP3360 toner cartridges. We pride ourselves on supplying Canon toner that are less costly to buy and consistent to work with. Still concerned? We aim to help save you money and time by supplying you with free delivery for all Canon LBP-3360 toner cartridges. And if you needed further incentive to shop for Canon LBP3360 toner at Cartridge Save then you should also take into account our cash back guarantee. Cartridge Save will gladly give you a 100% refund in the very unlikely case that your Canon LBP3360 toner will not function as expected why then accept something less? 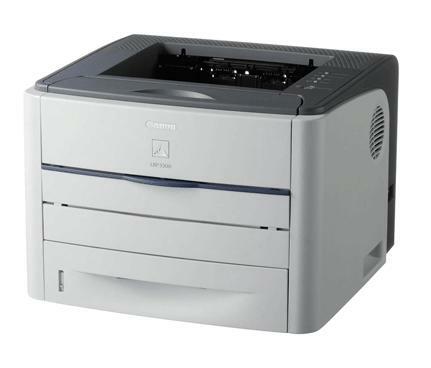 The compact Canon i-SENSYS LBP-3360 desktop laser printer can deliver a maximum resolution of 2,400 x 600 dpi. It has a 10,000-page monthly duty cycle making it ideal for small offices with high-volume printing needs. The Canon i-SENSYS LBP-3360 mono laser printer has zero-warm up time from standby and around seven seconds for power on. This network-ready Canon i-SENSYS LBP3360 laser printer comes with an automatic duplexer and uses an all-in-one cartridge. Print speed can use a boost to keep up with the competition. Measuring 400 x 376 x 267 mm and weighing 12.8 kg, the Canon i-SENSYS LBP-3360 printer is unobtrusive to small and compact offices. The LBP-3360 monochrome laser printer can handle a wide range of media and it comes with a 250-sheet cassette, another 250-sheet cassette is optional. The control panel comes with an LCD display, plus navigation and function buttons. For connectivity, users will find USB and Ethernet ports. Workgroups will have no trouble sharing the Canon i-SENSYS LBP-3360 black and white printer as it comes with Ethernet and it is compatible with Windows, Linux, and Macintosh computers. This user-friendly printer comes with a duplexer for automatic double-sided printing and it has a handy control panel. Users can expect good quality prints from the i-SENSYS LBP3360 workgroup printer. Productivity can be maximised by installing a high capacity black Canon i-SENSYS LBP 3360 toner into the machine. The Canon LBP-3360 laser printer may not be sufficient for demanding offices as it only has a total paper handling capacity of 500 sheets. Print speed is a bit slow, there are inkjet printers that can deliver output faster than the Canon i-SENSYS LBP-3360.